When it comes to style, most people dismiss the opinions of a plastic jurassic like me. Well, often they don’t even bother to dismiss me, they just presume A., that I don’t have a style, and B., that I don’t have opinions. Now, that’s just wrong. 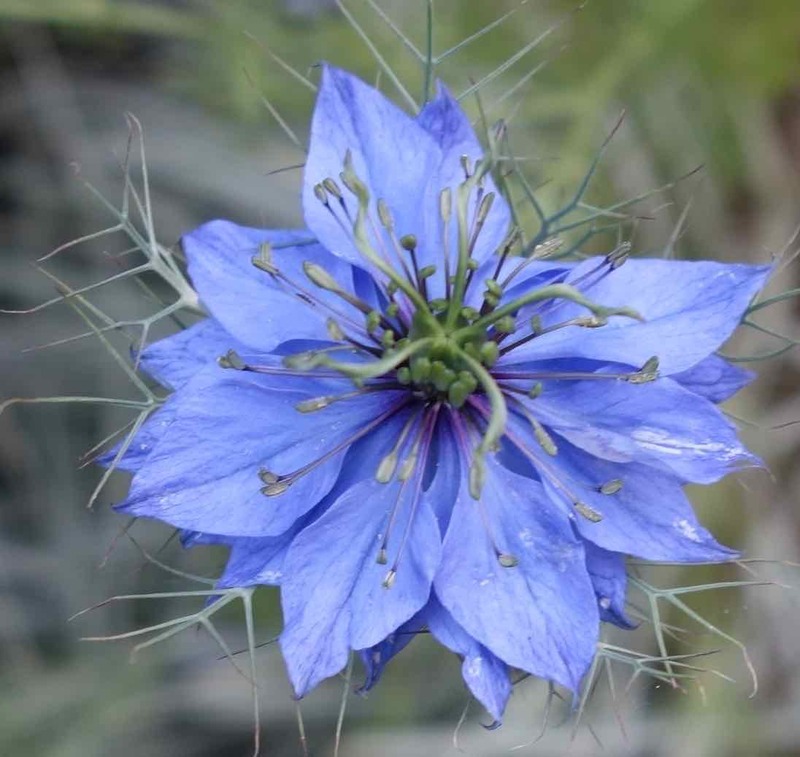 Take this nigella flower for example. You’re thinking blue-colored flower, right? I’m thinking something else. Of course, it is a blue-colored cornflower, but that’s just so blah. Take a good look at it again and then also look at me up at the top of this blog. See? It’s a shade of blue. That kind of blue is called “azure.” It’s like the sky on a clear day, AND azure complements which color? Orange! That’s me! Don’t believe me, well, just look it up on wikipedia. Here’s the link: https://en.wikipedia.org/wiki/Azure_(color) So, azure and I go together like a horse and carriage. Also, this tiny cornflower is little, and little is just my size. 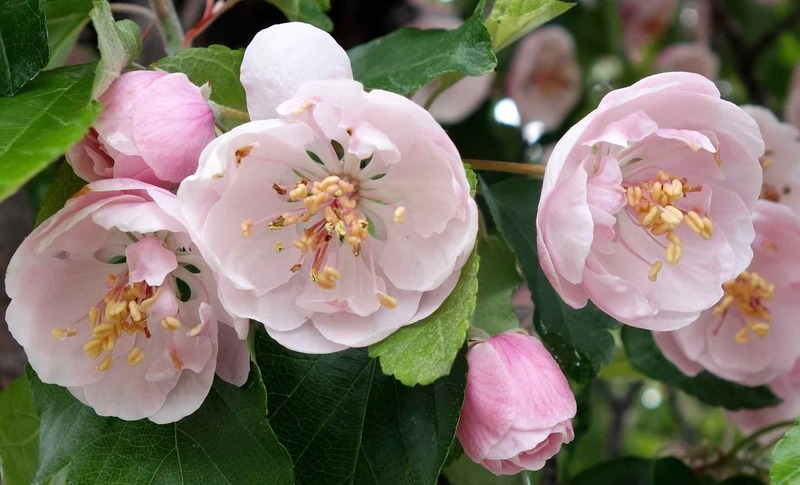 Now take this tree blossom as another example that tells something about my style. It’s a perfectly good blossom on a lovely tree, but, look, it’s just not my style. Even though it’s little, like me, it’s color just doesn’t do anything for me. It’s washed out pink color and fragile appearance just doesn’t complement my orange coloring nor my strong constitution … and strong opinions. Now I can go in an entirely other direction with my style. I can find something little and something of another color and be very happy with it. Here’s my last example. 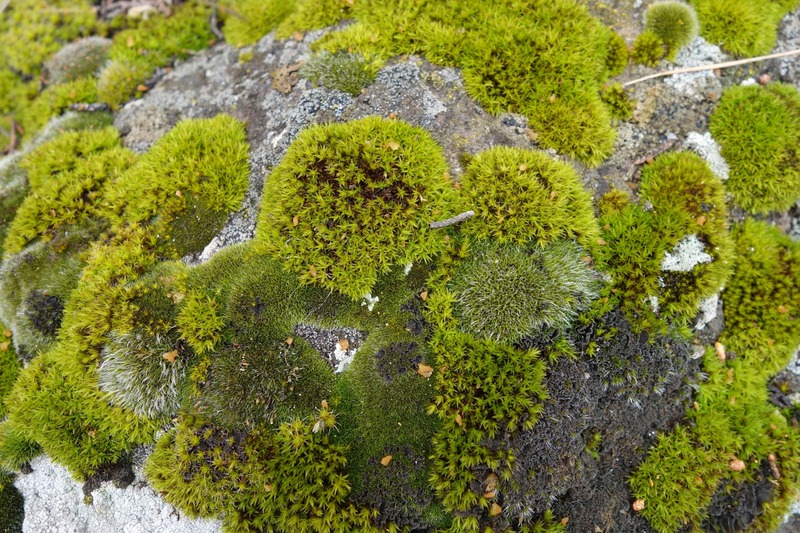 Green moss. Don’t you love the way this moss and it’s rich green color envelop the rock without smothering it? Don’t you think that this moss enhances the appeal of the rocks? To me, this moss was so inviting that I said to Nona, “Please, lay me down on that moss so I can smell it and take a nap on it.” Let me tell you, girl, that was a lovely part of my afternoon. Pure, natural luxury. So, now you know. I have opinions, and I’ve got style. Bye!